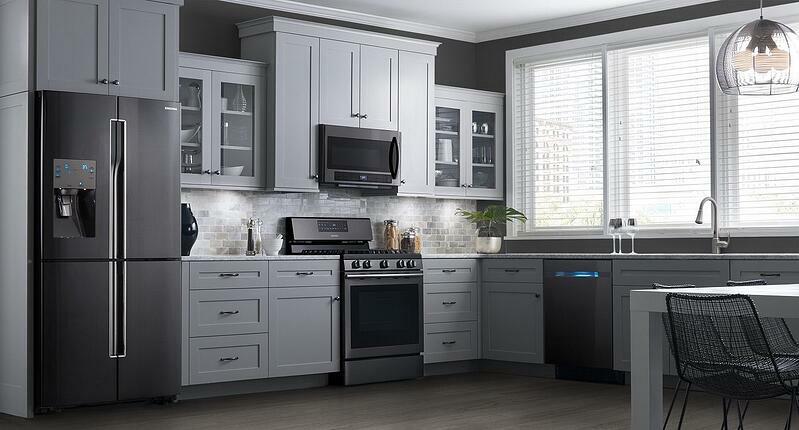 Samsung is now the number 1 appliance brand in the US. It probably wasn’t even in the country the last time you shopped for a refrigerator. However, if you are looking for a counter depth refrigerator, Samsung has by far the best assortment with 8 different models. Most other brands will have 1 or 2 in counter depth. 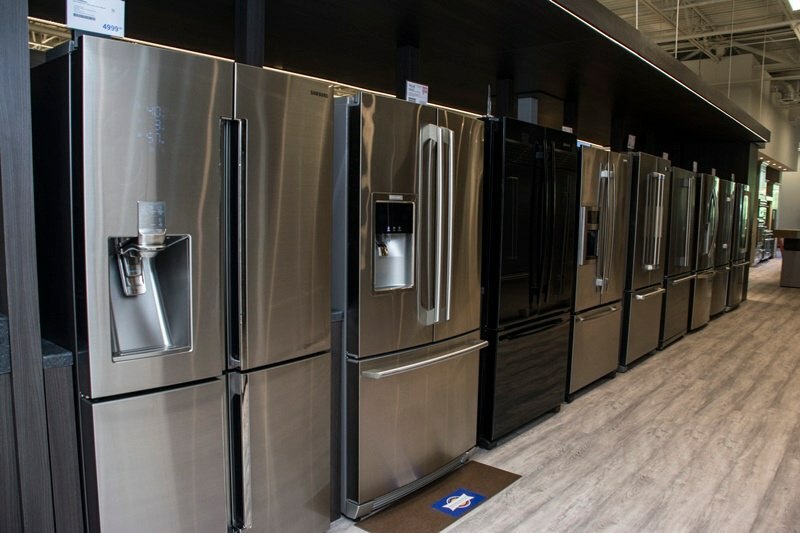 In this article, you will learn about several types of counter depth refrigerators, Samsung's best models, and their technology. You will also learn about the best times to buy a Samsung refrigerator and why promotional holidays like Black Friday have become so huge for buying appliances. Then you will learn about Samsung service, issues, problems, and whether you should buy a Samsung refrigerator. But let's talk about the different types of counter depth refrigerators first. 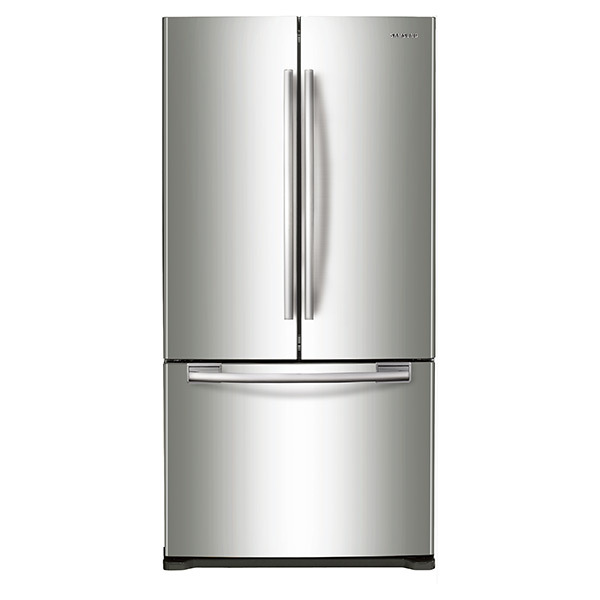 Samsung only produces regular counter depth refrigerators. You don't see the sides jutting out for a counter depth, so it looks much nicer in a mid to high-end kitchen. The ongoing steel and aluminum tariffs of 25 and 10% have watered down this year's promotion, but it's still the best time to buy. You will also be protected by future price increases as the price of commodities has become much more expensive. In the long term, Samsung may be more immune to price increases because they will have more factories in the U.S.
Samsung beat their competition in electronics by offering discounts around holidays. In 2012, they extended this strategy for appliances. You want to buy Samsung appliances during promotional holidays because the pricing is anywhere from 10-35% less during President's Day, Memorial Day, Labor Day, Veterans Day, and Black Friday. You are reading this in November (hopefully). Black Friday is the best time to buy an appliance, despite tariffs cutting into discounts a bit. Of course, Black Friday now starts November 1st and ends, for us, November 26th. You do not have to wait in lines anymore and you can beat the rush. Twin Cooling: Samsung has two evaporators, one for the refrigerator and one for the freezer, so odors and tastes do not cross over like a one evaporator model. So your food will taste better with less freezer burn in your freezer. LED Lighting: LED is a brighter and cooler bulb. 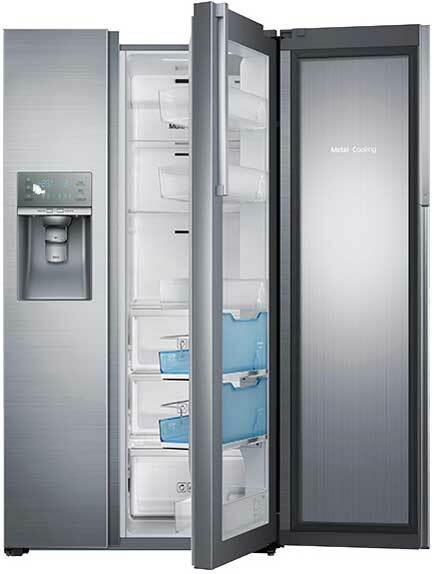 Triple Cooling: One compartment is convertible to be either freezer or refrigerator. If you have a party, you can convert that freezer to additional refrigerator space. Metal Cooling: Certain refrigerators are lined with metal, so the cold is absorbed is faster. Your food will also be colder faster. Showcase Door: It's a door within a door, so you can access your items on the door faster. Family Hub: Internet-ready, you can leave messages and look inside your refrigerator remotely from an app. 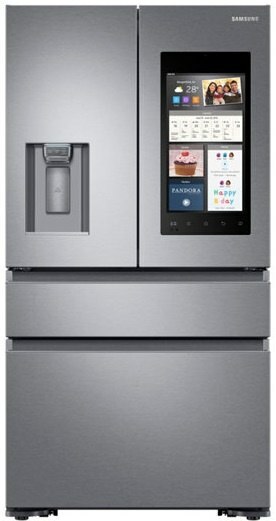 Samsung has twin cooling on all their refrigerators, so the air in the refrigerator and freezer do not commingle. Your food will taste better because the warmer, refrigerator air will not transfer to the colder, dryer air of the freezer. Think of the tastes and odors from fresh fish not landing in your ice cream. Sub-Zero has used the same argument for years. All the Samsung refrigerators will have LED lighting as well. LED will never need to be replaced like incandescent lights. It is also a “cool” bulb and will not project heat into your refrigerator or freezer. Ever try to change an incandescent bulb? It burns your hand because the outer skin heats to almost 350 degrees. This is the best 33-inch counter depth sold and is the only French door. Every other company has options at 30 and 36-inch widths. The next best is almost twice the price. Side-by-sides offer more organized storage and more freezer space than the more popular French door. This is Samsung's base French Door. 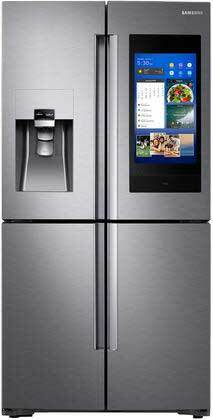 Like the side-by-side, this fridge had an ice and water dispenser on the door for convenient cold beverages and also digital refrigerator controls for easy access to changing settings. The cool select pantry is a large drawer in the refrigerator that has 3 different temperature settings: Deli, Fresh, and Chill. This side-by-side has the Showcase door or two doors on the refrigerator side to easily access your refrigerated items on the door. This fridge is really about versatility. You have four separate doors on this model. The bottom right compartment can be turned from freezer to fridge depending on your needs for three possible cooling environments. The sleek, handleless look will match almost any decor. You should look at this refrigerator. This refrigerator has a door within a door on the refrigerator for easier access to your juice, milk or any other items on the door. It's the perfect height for kids. The doors also have metal cooling instead of plastic. Metal retains cold better, so your items on the door will be kept as cold as the items in the refrigerator. 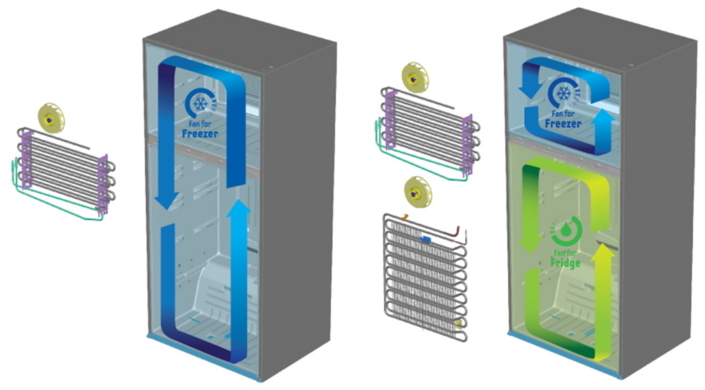 The Triple Cooling System allows air from each compartment to be cooled and recycled back into the same compartment for better food preservation. The second drawer is convertible from a refrigerator to a freezer and vice versa. Lastly,it's almost $900 off for Black Friday. The Family Hub has been reduced in price now that the technology is more common. If you are into technology, you may want to see this refrigerator in a showroom and ask for a demonstration. This 4-door Hub has a better sound package. We have 30 service techs completing 8-12 service calls per day, or 30,761 service calls completed last year. We look at service percentages almost daily. Samsung is one of our most reliable brands as a percentage of sales. 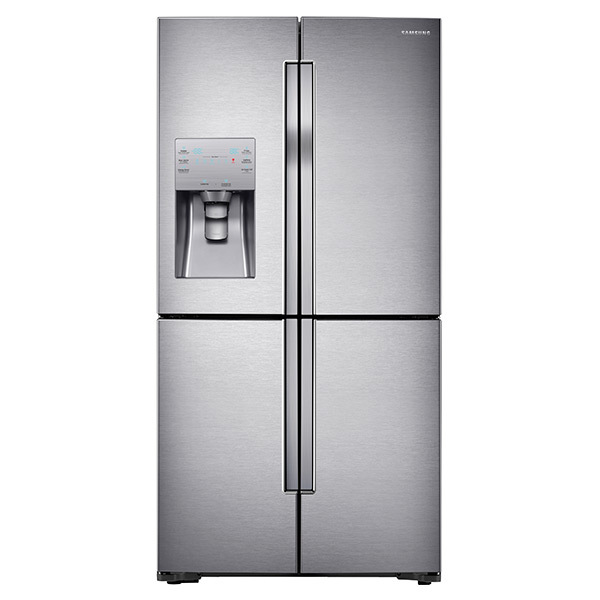 It is also the most reliable refrigerators we sell at 15% service within the first year. It is by far the best unit with a water dispenser as the average service rate is almost 30%. However, Samsung has the same problem as almost every other brand. They do not employ service techs. Many techs are not trained on their product and different technology. Their products are reliable. However, finding competent service will be your challenge, so you should check in your area before buying. 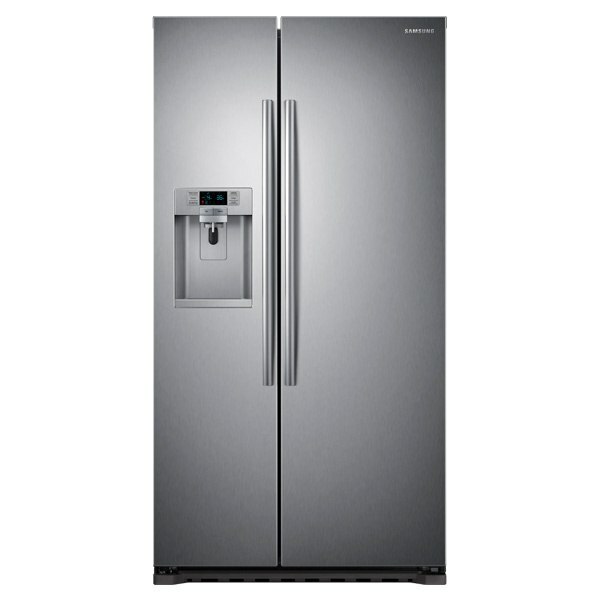 Samsung has the best technology and the most product offerings if you are looking for a counter depth refrigerator. The brand should be considered, but first, you must look for the right company to fix any problems (same could be said for every brand). Then buy it at the right time. Download the Yale Counter Depth Refrigerator Buying Guide with features, specs, and inside buying tips for regular, pro, and integrated counter depth refrigerators. Well over 350,000 people have read a Yale Guide. *Dishwasher re-installation is to existing fittings only. Call or visit stores for details.